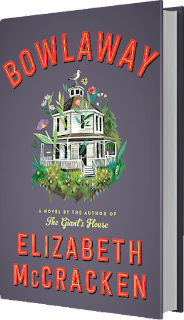 CAROLINELEAVITTVILLE: The great Elizabeth McCracken is in the house and talking about her fantastically great new book BOWLAWAY and lots of other stuff, too! 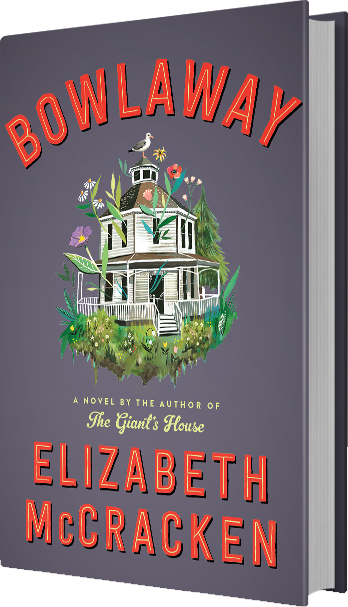 The great Elizabeth McCracken is in the house and talking about her fantastically great new book BOWLAWAY and lots of other stuff, too! 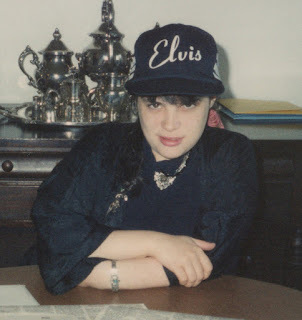 Elizabeth McCracken is the author of six books: Here’s Your Hat What’s Your Hurry, The Giant’s House, Niagara Falls All Over Again, An Exact Replica of a Figment of My Imagination, Thunderstruck & Other Stories, and the forthcoming Bowlaway. 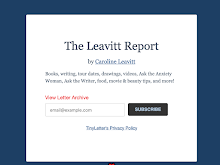 She’s received grants and fellowships from the Guggenheim Foundation, the National Endowment for the Arts, the Liguria Study Center, the American Academy in Berlin, the Fine Arts Work Center in Provincetown, and the Radcliffe Institute for Advanced Study. Thunderstruck & Other Stories won the 2015 Story Prize. Who doesn't adore Elizabeth McCracken? She's hilariously funny on Twitter, her books are spectacular, and she's one of those people who you just want great things to happen to. And they do. I always want to know what was the why now moment for a particular novel? What question was digging at you that you had to explore? I live in Texas now—heavens, what a sentence—and I miss New England every single day. I miss cultural crabbiness, & I miss autumn, and even ice; I miss steak tips and affordable lobster; oh dear lord do I miss the Atlantic ocean. So I started writing about New England and home. I was also really interested in genealogy—my grandfather McCracken was a genealogist—how devoted people are discovering who they are related to by blood, even though it’s nearly coincidental. I love family stories and how they seem important in a different way than the stories of friends. Well, once you start writing about New England, how can you avoid candlepin bowling? I was on candlepin bowling leagues as a child, and once I was in junior high school and high school, the local candlepin alley was where I hung out to play video games and bowl and eat junk food. I do love candlepin because there’s no such thing as perfection. Low scores are the norm. Nobody has ever rolled a perfect game. It’s dull and repetitive but also somehow beautiful—I wanted to write like life but that seems a bit much even for me. What I also adore about your work is that there is an eccentric quality, but we never don’t believe a single thing you write. So, what were you like as a little girl? What was your world view then and what is it now? I was an eccentric, without a doubt, from a long line of eccentrics, and I was raised (particularly by my mother) to be bullheaded about the things I loved and the things Elizabeth McCracken effort. I have to ask this—I’ve loved your work since The Giant’s House, when you were a single librarian, and now you are married to another writer and a mom. Do you feel as if you are writing your life—and has it changed the way you work? I definitely don’t feel as though I’m writing my life. My books and my life seem to be happening side by side—though for sure I write about children in a way that I didn’t used to, now that I spend a lot of time staring at them. Well, like most people I know, the GODDAMN STATE OF THE WORLD. I feel as though ordinarily I would be obsessed with all sorts of things, and my energy is taken up with reading news and donating to progressive causes and casting obscure secular curses on certain people which so far seem not to be working. But I’m also casting about for the new obsession.